Bananas, coconuts, and peppers have arrived. Fortnite: Battle Royale’s v8.20 update patch notes are now live. They have revealed several unexpected changes to items, vehicles, and game modes. The v8.20 update not only brought several bug fixes that were already promised, but also The Floor is Lava Limited Time Mode, the new Poison Trap, and changes to The Baller, the Infantry Rifle, and the addition of new foraged items spread around the island. Check out below the highlights of the v8.20 patch notes. Epic has been testing a few changes to the standard game modes (Solo, Duos, and Squads) since it implemented the mechanics of Pop-Up Cups in them. 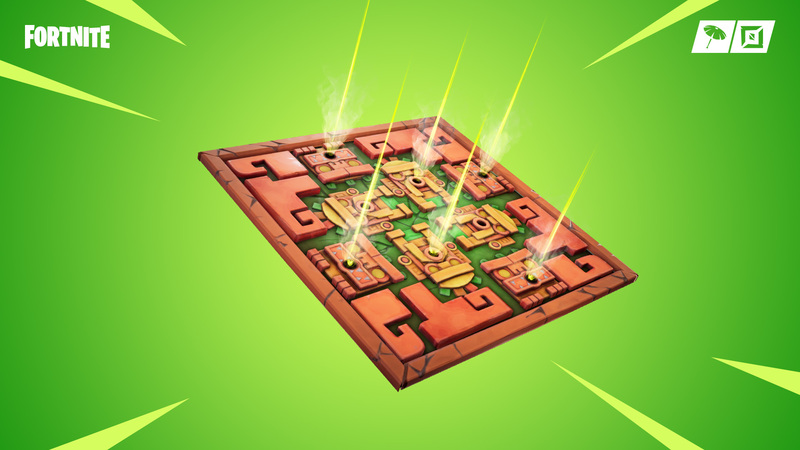 The company reverted some, saying they have resulted “in an unhealthy level of aggressive play, diminishing other viable strategies.” From now on, players in these modes will no longer get health or shield upon elimination, won’t get materials for eliminations, will have a higher material cap, and will harvest at the old rate. These changes will not be applied to competitive modes like the new Arena Mode. The Infantry Rifles are now hitscan, Epic has confirmed, which means they now hit instantly if the player aims accurately instead of firing a projectile that’s affected by gravity and has travel time. Players will now also find bananas, coconuts, and peppers around the map. Bananas heal five health just like apples, but are found in the tropical biome, while coconuts heal five health or shield over a short time, and peppers heal five health while granting a 20 percent bonus movement speed for 10 seconds. Epic has removed the impact damage that The Baller used to deal, and the company also said players will be able to shoot others through the glass in the upcoming v8.30 update. All its bouncing and knocking properties still remain in the game. The Arena Mode has been implemented for players to rank up and get to the Fortnite World Cup Open Qualifiers. Players will “gain ‘Hype’ to advance to higher leagues and unlock exclusive tournaments,” and the more points they get, the higher the division they are in. It’s similar to a ranked mode of sorts. Apart from the Fortnite World Cup Qualifiers, players who are in the Contender League in Arena will unlock the new Luxe Cup, which will run from March 30 to 31. Fortnite’s v8.20 update full patch notes can be found on Epic’s website.